No family in the past two centuries has been as constantly at the center of Europe's great events, has featured such varied and spectacular personalities, has had anything close to the wealth of the Rothschilds. To this day they remain one of the most powerful and wealthy families in the world. In Frederic Morton's classic tale, the family is brought vividly to life. Here you'll meet Mayer, longtime adviser to Germany's princes, who broke through the barriers of a Frankfurt ghetto and placed his family on the road to wealth and power; Lord Alfred, who maintained a private train, private orchestra (which he conducted), and private circus (of which he was ringmaster); Baron Philippe, whose rarefied vintages bear labels that were created by great artists, among them Picasso, Dali, and Haring; and Kathleen Nica Rothschild de Koenigswarter, the "jazz baroness", in whose arms Charlie Parker died. The family itself has been at the center of some of the most crucial moments in history: the defeat of Napoleon at Waterloo, the development of the Suez Canal, the introduction of Jews in the House of Lords. 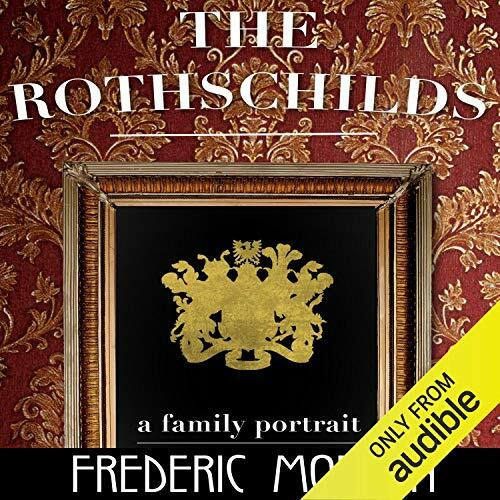 Through it all, the Rothschild name has continued to represent the family ideal, and no author has so nimbly captured the eccentric brilliance of blood as Frederic Morton. ©1961 Frederic Morton (P)2018 Audible, Inc.